As India debates how to allocate natural resources, the north-eastern states face a peculiar challenge: communities want recognition of their ownership over coal, forests and oil, the three "nationalised" resources. These tribal communities have traditionally controlled vast tracts of land and its resources, such as forests and coal, through well-established community institutions. They are now eager to exercise their ownership over oil. The Centre has for long protected their autonomy through various Constitutional provisions. The state governments have acknowledged this. But as the value of natural resources touch an all-time high, the governments turn their eyes to the largely untapped region, perhaps the most resource-rich landscape in the country. The hydrocarbon reserves in Nagaland may increase India's on-shore oil and natural gas production potential by 75 per cent. The coal reserves in Meghalaya are worth 10 times the state's GDP. In Arunachal Pradesh and Mizoram, 60 per cent and 30 per cent of forests are with communities (see map `Centre v state v community'). As the Centre tightens its control over oil, coal and forests, states try to wrest control from it by citing special Constitutional provisions and community rights. With industries on board, the states are also exploiting legal loopholes to hoard benefits from these resources. Communities now find themselves in a quandary. While tribal communities in Nagaland and Meghalaya are protesting and approaching courts to protect their rights over oil and coal, those in Mizoram, Manipur and Arunachal Pradesh are struggling to retain control over their forests. The struggle of Kithan’s tribe, Lotha, dates back to the early 1980s. With the state’s permission, the country’s multinational public sector unit, Oil and Natural Gas Corporation (ONGC), had just begun extracting crude oil from the rigs it had sunk near Changpang. The area is part of Schuppen Belt that is believed to hold 600 million tonnes of crude oil and natural gas. “ONGC over-extracted our oil but gave us very little share in the profits,” alleges Kithan. Irked, the residents of Changpang and adjoining Tsorri formed a union and protested against the oil giant. The Changpang Land Owners’ Union (CLOU) argued that Nagaland enjoys a special status under Article 371-A of the Constitution, which recognises customary rights of communities over land and its resources. The state cannot allow ONGC to exploit the resources without their consent. CLOU demanded that the company should sign a lease agreement with the village council (traditional decision-making body in a village) or Lotha hoho (the apex body of the tribe). The Naga Students’ Federation joined the protest, alleging that ONGC mined 1.02 million tonnes of oil, which is much more than the amount permitted to it in the exploration lease. ONGC shut shop in 1994 following widespread protests and threats from insurgent groups. “It was a watershed event. It was a recognition of Naga people’s rights over natural resources,” says Janbemo Lotha of Green Foundation, a non-profit in Wokha district. But the euphoria did not last long. “Every summer, as the crude oil heats up at those depths, the rigs start leaking. 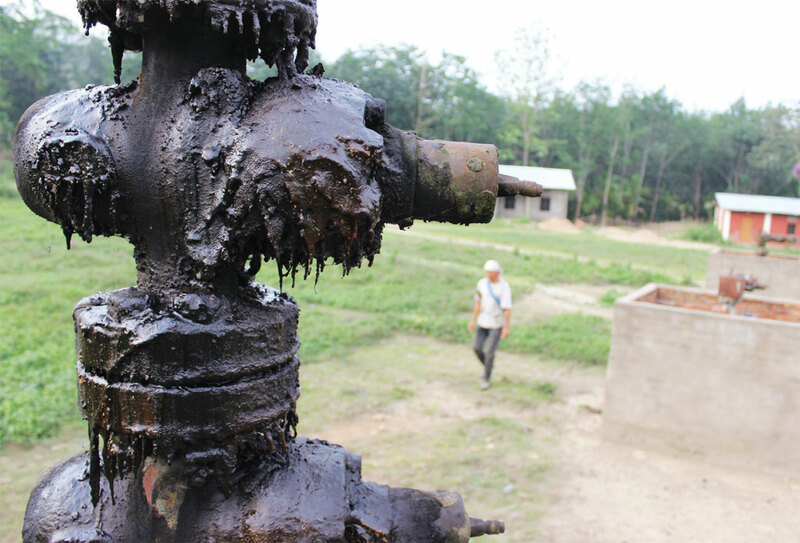 With the first gush of rain, the spilled oil flows down into villages,” says Kithan. The authorities have unsuccessfully tried to contain the spill by constructing concrete walls around the rigs. In September 2012, People’s Science Institute, a non-profit in Dehradun, found that the groundwater of Changpang contained oil, grease, phenol and iron beyond the standard limits. The oil spill is affecting the soil quality and health of all living beings in the village, the non-profit said in its report. “Many people in the village now suffer from respiratory and skin problems. 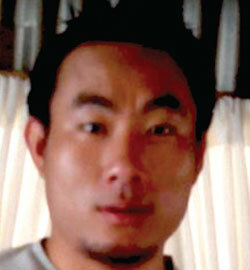 Crop yields have also taken a hit,” says Chenithung Kithan, another resident of Changpang. "We own the oil and should get the entire royalty from oil companies. The state government can levy a tax on them and keep it"
In 2011, a resident of Tsorri and non-profit DICE Foundation in Kohima moved the Gauhati High Court against ONGC and the state. They demanded Rs 1,000 crore in compensation for “four decades of pollution” caused by the oil spill. ONGC hurriedly abandoned the establishment without decommissioning or capping the rigs properly, they said in the petition. While the fight continues, the state has once again allowed oil mining in the region. This time around, desperate to earn from its vast hydrocarbon reserves, the state has erred on the side of caution. The abandoned oil rigs had divided the community of Changpang into two groups: people on whose land rigs were sunk and those who were affected by oil spill. According to DICE Foundation, in 2006 landowners of the rigs signed a deal with SRM Exploration Pvt Ltd, a Gurgaon-based oil company, for tapping the treasure beneath their land. They also obtained 25 years of oil and gas lease from the village council. The Lotha hoho and the Naga hoho (the apex body of all Naga tribes) opposed the deal, saying oil belongs to the entire community and not to a few individuals. Between 2006 and 2007, the Centre again allotted oil blocks in Nagaland to ONGC. But the company could not proceed due to community opposition. The Nagaland government seized the opportunity. “Some politicians came to our village and said we tried to trade in oil but messed it up, so now they would do it for us,” recalls Kithan. In 2009, the state suspended all activities related to oil and annulled previous exploration and mining leases. It formed a Cabinet Sub Committee (CSC) to work out modalities for governing oil and natural gas. But there was another stumbling block. Before Nagaland was formed in 1963, the Centre had introduced the Oil Fields Regulation and Development Act, 1948, and the Petroleum and Natural Gas Rules, 1959, which authorised it to develop and regulate hydrocarbon reserves across the country. States holding the reserve are eligible for a royalty decided by the Centre. Though Article 371-A guarantees that no Central law pertaining to land and its resources applies to Nagaland unless the Assembly ratifies it, the state government did not want to take a chance. In July 2010, it passed a resolution which allowed it to develop petroleum reserves in the state, acquire mineral-bearing areas, set land compensation rates and landowners’ share in the royalty and issue environmental and forest clearance to projects. 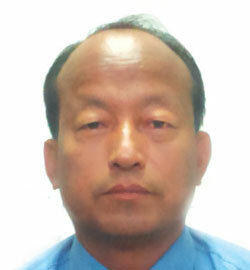 In 2012, it introduced Nagaland Petroleum and Natural Gas (NPNG) Regulations. This made the Centre jittery. Worried that it might lose control over the vast reserve of petroleum—Nagaland has the potential to increase India’s onshore oil production potential by 75 per cent—the then petroleum minister M Veerappa Moily wrote letters to then chief minister Neiphiu Rio, opposing NPNG regulations. In June 2013, Moily, on the recommendation of the Union Ministry of Home Affairs, asked Rio to rescind NPNG regulations and withdraw the notification inviting companies for developing the reserves. He said Article 371-A does not confer on the Nagaland Assembly power to make laws related to oil. "The government has manipulated community leaders by giving them roles in the prospective oil trade to extract consent from the landowners of rigs"
This is when in 2011, the then Union petroleum ministry, replying to a Lok Sabha question, had said that “land and its resources” in Article 371-A includes minerals and oil. Speaking at a public meeting, Rio accused the Centre of taking a U-turn on the matter. The state’s firm stand against the Centre, however, was not primarily meant to benefit communities. As per the benefit-sharing mechanism of NPNG regulations, for every Rs 100 of crude oil produced, the company will give Rs 16 to the state and the communities. The state will keep 50 per cent of the share, or Rs 8, and pass on Rs 2 to landowners of the rigs. The District Planning and Development Board will get Rs 2 and the remaining Rs 4 will be divided among the community. A section of Naga communities are opposing this regulation. “It is scientifically wrong to give a higher royalty share to the landowners of rigs,” says Jonas Yanthan, vice-chairperson of the Kohima Lotha hoho. The rig may fall on anybody’s land but the reserves are spread over a vast area. At the most, the landowners of rigs can get a land access fee. Besides, on what basis does the government claim to be the owner of oil along with people and demand the highest royalty share, he asks. “It’s only the caretaker of whatever little land it has acquired for public works,” he adds. “It is wrong to say that the government has become owner of oil and gas because the (NPNG) rules clearly state that unless the landowner (of the rig) signs the agreement with the selected company, the oil operations cannot take off in any district,” Chief Minister T R Zeliang told Down To Earth (see ‘State has the right to regulate oil and gas’). The process of awarding contracts to companies is also dubious. Instead of inviting bids, the NPNG regulations assess a company based on its track record in Nagaland, its experience and how conducive is its financial and operational profile to undertake oil operations. Final selection is simply done by a ministerial group headed by the chief minister. “No technical officer is involved in the selection process,” says an official in the state’s mining department, wondering how the group decides technical aspects of leases. “While most NPNG rules are flawed, the state did not follow them while awarding contract,” alleges a journalist in Kohima. In February 2014, a little-known Metropolitan Oil and Gas Pvt Ltd (MOGPL) bagged the contract for developing Wokha and Peren oil zones. The Union corporate affairs ministry’s data shows that MOGPL was floated four months before Nagaland invited applications from companies in January 2013. MOGPL had claimed that its promoters, Spice Energy, SRM Energy and Cals Refineries—all part of one Spice Energy Group according to the Securities and Exchange Board of India (SEBI)—have experiences in oil operations. An investigation by Down To Earth (DTE) reveals a fraudulent history of its promoters. To establish its experience, MOGPL had mentioned in its application that Cals, which holds 91 per cent of its equity, is setting up an oil refinery at Haldia in West Bengal. But Cals has been mired in controversy. "Government has favoured MOGPL. The company's adviser Krishna Kumar is also adviser to the apex body of the chief minister's community"
In 2007, Cals issued 7.8 million global depository receipts (GDRs; sets of company shares listed and traded in a foreign country) to generate capital for the Haldia project. The GDRs, worth US $200 million, were immediately subscribed by Honor Finance Ltd owned by Sanjay Malhotra by borrowing US $200 million from a bank in Portugal. Incidentally, Malhotra was a promoter of Spice Energy Group. “This resulted in Cals itself financing its GDRs,” said SEBI in a show-cause notice to the company in September last year. This subscription of all GDRs of Cals through “fraudulent arrangement” pushed the demand for its shares in the Indian stock market, said SEBI. In another deal in 2009, Cals paid US $92 million to a Hong Kong-listed Asia Texx, owned by Gagan Rastogi, son of Cal’s director and Spice Group promoter Deep Kumar Rastogi, for purchasing refinery equipment. While no equipment was delivered, Asia Texx used the money to buy back GDRs of Cals from Honor Finance. Malhotra’s company then used the money to pay back its loan. Following the “unfair trade practices”, SEBI last year banned Cals from issuing equity shares for eight years. Another Spice Group company and promoter of Cals, SRM Exploration has also been indicted in the GDR forgery case. In March 2012, the Delhi High Court ordered winding up of SRM Exploration while hearing a petition by a Czech company against its financial dealings. SRM Exploration was hired by landowners of rigs in Changpang for exploring oil in 2006. In September this year, Kohima Lotha hoho moved the Gauhati High Court against Nagaland for selecting MOGPL. Its petition shows the 22 companies that had applied for the contract included experienced firms like Assam Company (India), Prize Petroleum, Deep Industries, Shiv-Vani Oil & Gas and Jubilant Oil & Gas. MOGPL has, however,begun operations in Wokha in July. On September 22, the government announced that MOGPL will start explorations in Peren, home district of chief minister Zeliang. 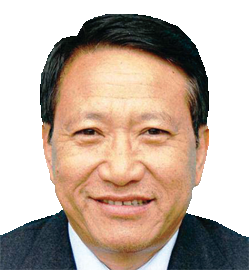 In May this year, Zeliang replaced Neiphiu Rio after the former chief minister got elected as Member of Parliament. A politician in the state alleges that Zeliang could win over the support of MLAs against another senior contender for the post because of his involvement in the process of restarting oil trade. "I did advise Zeliang-rong baudi. But the three-state tribal body has nothing to do with the land and ownership matters in Nagaland"
As the minister of planning and coordination, Zeliang had played a crucial role in drafting NPNG regulations. After oil, those in power are eyeing oil-bearing land in the foothills. In March this year, the state prepared a vision document to set up Nagaland Special Development Zones (NSDZs) in these areas. An internal concept note on NSDZ, issued by the chief secretary’s office to deputy district commissioners in November last year, says the idea is to restructure the legal land tenure systems, “that are largely tribal in nature,” to allow “commodification of land as has happened in all other societies...around the world”. At present, the state laws do not allow non-natives to settle in the state. This arrangement aims to protect Nagas from land alienation. Under NSDZ, a system for “permanent settlement of non-Nagas for investment purpose” will be developed. They will also be issued pattas (land titles), according to the note. “This is a ploy to sell the oil-bearing land to industries,” says a politician in the state. After all, as per the NPNG rules, the owner of the oil-bearing land will get a share in the revenue earned from oil production. 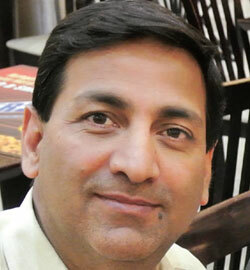 The Bharatiya Janata Party-led government at the Centre is yet to clarify its stand on the matter. Community leaders say the state has misused Article 371-A to subvert their rights and exploit oil resources. The special Article safeguards the rights of Naga people as per their customary laws and governs transfer of land and its resources. No Central law can impinge upon these rights without the approval of the state Assembly. So, the Nagaland government has the right to regulate oil and gas by formulating its own Nagaland Petroleum and Natural Gas Rules. There is no question of misusing Article 371-A or subverting communities' rights by formulating the rules. It was prepared after consultations with the apex body of tribes and civil society and following landowners' consent. It is illogical on the part of community leaders to claim the entire revenue from oil exploration without sharing with the state who is their sole guardian. 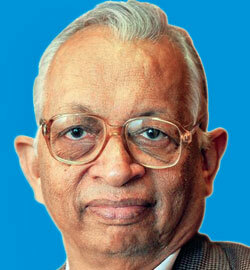 It is said that Metropolitan Oil and Gas Pvt Ltd (MOGPL) that has begun explorations has no experience in the sector. On what basis did you select it? There have been media allegations but no one substantiates those. MOGPL was the only company that offered the highest share of revenue and agreed for agreement with state and landowners of oil-bearing zones. The state plans to restructure landholding regime in oil-rich foothill areas by setting up Nagaland Special Development Zone (NSDZ). It is alleged that by doing so the state is making way for selling the land to outsiders. There is no plan to restructure the landholding system in foothill areas. Though the Assembly has passed a resolution to set up NSDZ, it is still a vision document. More consultations will be held before the final draft is ready. So it is too early to say that permanent settlement will be allowed to investors. Besides, oil and NSDZ are two separate issues. It is said Peren oil zone has been kept out of NSDZ as you own large tracts of land there. I don't have large tracts of oil-bearing land. If NSDZ is implemented, Peren will not be out of it. RESIDENTS OF Meghalaya’s Umkyrpong village avoid any conversation on coal and forests with strangers. “You come to dorbar shnong (traditional village assembly) and we will tell you everything,” a resident tells Down To Earth. The 200-odd families in this tiny village in East Jaintia Hills district claim that they own a hill. They had traditionally depended on its 70 hectares (ha) forest for firewood and other produce and grew paddy on parts of it with approval from the village council. In 2010, some people from the village approached the Jaintia Hills Autonomous District Council (ADC) for individual pattas (land titles) over the forest. ADC is a democratically elected body that represents tribal people in states like Meghalaya, governed under the Sixth Schedule of the Constitution. The village council filed a petition requesting the ADC not to issue pattas over community land. The ADC, however, issued pattas over the entire forest to 13 individuals, saying it received a letter from the village council withdrawing its objections. In response to queries under the Right To Information (RTI) ACT filed by the village council, ADC produced approval letters and receipt of the notice of titles from the village council bearing signatures of its headman and secretary. The village council alleges that the documents were forged. Everybody in the village knows that the then headman Phamles Manar is illiterate. RTI responses revealed that on the same day the titles were issued, the 13 individuals had sold the forest to Donush Siangshai, a coal baron. It did not take much time for Umkyrpong residents to realise that their forest has been grabbed for coal mining. Umkyrpong village council then moved the High Court of Meghalaya against ADC officials, the 13 land buyers and Siangshai. On May 21 this year, the court termed the landholding certificates illegal. "(Because of ban on rathole mining) those engaged in mining for more than half a century stand uprooted"
Unkyrpong is not the only village where coal barons have grabbed community land. The genesis of such conflicts lies in the state’s vast reserves of fine quality coal—576 million tonnes that alone can drive the state’s economy for 10 years—spreading horizontally under the hills in the form of narrow seams. Extracting coal from these seams through open cast mining is economically unviable. This gave birth to an indigenous method, rat-hole mining. 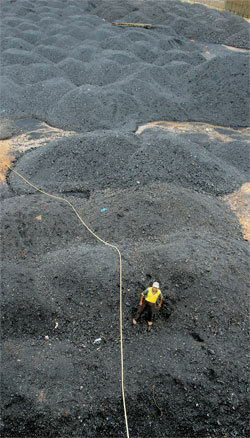 People dig up to 50-metre-deep pits on the hills till the coal seam is reached. From there horizontal tunnels are made through which a miner crawls to dig out coal. Till recently, the state and the Centre had exempted such mining from any regulation because of its apparent small-scale nature and the traditional rights of indigenous communities over their land and resources. Coal mafias and the elites in the community took advantage of this exemption. Coal production in the state increased from 3.3 million tonnes in 1995-96 to about 6 million tonnes in 2009-10, show data based on royalty received by the government. Trade insiders say the actual production could be three times more. Most people in East Jaintia Hills are farmers. They had stayed away from rat-hole coal mining due to lack of capital and because of its labour-intensive and hazardous nature, according to the Status of Adivasis/Indigenous Peoples (SAIP) Mining Series on Meghalaya, a 2014 report coordinated by a group of scholars working on tribal rights across the country. “Since the state does not have proper records of land titles or deeds and customary practices, dubious land deals became the order of the day. 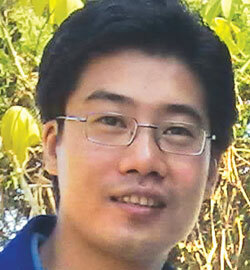 Community-owned land became easy targets,” says H H Mohrmen, a pastor and environmentalist in Jowai. Individuals and communities selling off land to coal mafias, willingly or unwillingly, is a well-known practice in the state. “In many cases, the miners just buy coal below the land by making a one-time payment and tell the land owners that the top soil belongs to them,” says a Jowai-based journalist. This led to massive conflicts over land in heavily coal-mined areas like East Jaintia Hills. "Communities didn't benefit from rat-hole mining. District councils, state and Centre could have set up a mechanism for sharing profits with them"
“Till 10 years ago, it was a peaceful region. Now, it has become a war-zone,” says a police official at Khleriaht police division. Following the orders of the Meghalaya high court, three battalions of police have been deployed inside the forests in coal-bearing areas. Rat-hole mining had another downside. Earlier this year, the All Dimasa Students’ Union of the adjoining Dima Hasao district of Assam filed a petition before the National Green Tribunal (NGT) that acidic water from the mines and coal dump yards in East Jaintia Hills was polluting rivers downstream. Several studies, including those by government agencies, established this, following which in April this year NGT banned rat-hole mining. It has asked the state to propose a scientific mining plan for coal. The initial reaction of coal barons and several politicians was that the NGT order infringes on the customary practices of communities. Vincent Pala, an MP from Meghalaya, introduced a private bill in the Lok Sabha in July this year that sought limiting jurisdiction of NGT. 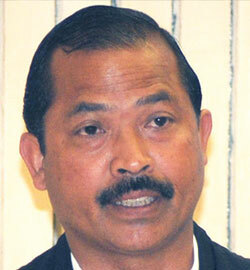 Pala argued that the ban on rat-hole mining has jeopardised livelihoods of people. But the fact is all these years the state government had illegally allowed mining in tribal areas. 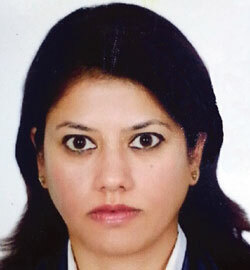 Unlike Nagaland, where Article 371-A states that national laws concerning land and its resources would not apply to the state unless the Assembly ratifies it, Meghalaya, a Sixth Schedule state, can be exempted from national laws only if the President issues a notification to this effect, says Shilpa Chohan, a Supreme Court lawyer. But Meghalaya never sought President’s notification. “Without it, all national laws related to mining, environment and labour are applicable to the state,” says Chohan. As per the Coal Nationalisation Act, coal is under the Centre’s control and can be extracted only after receiving mining leases from the state government and forest and environment clearances from the Union Ministry of Environment and Forests. In response to queries under the Right To Information (RTI) Act by Shillong-based non-profit Samrakshan Trust, the state government and Union coal ministry admitted that all national mining laws were applicable in Meghalaya. While the state kept its eyes shut from regulating mining, it did not use provisions of the Sixth Schedule to protect communities from land alienation by the powerful people and the non-natives nor did it provide them benefits from coal mining. “The income generated from coal mining and its distribution remains highly skewed,” says the SAIP report. Many villages do not have basic facilities like electricity, roads and safe drinking water, it notes. WHAT Coal has done to community forests in Meghalaya, oil palm seems to be doing in Mizoram. Since 2005, the Mizoram government has been implementing an ambitious programme of the Centre, Palm Oil Development Programme (PODP), that aims to catapult India from being an importer of oil palm to being self-sufficient in the wonder crop. After all, oil palm is in demand for everything, right from making vegetable oils and biodiesel to soaps and cosmetics. While several of the 12 states under PODP struggle to meet the annual targets of oil palm cultivation due to land scarcity and competition from other crops, Mizoram has managed to substantially expand the area under oil palm, at times beyond its annual targets. Of the 101,000 hectares (ha) it plans to bring under the crop, it has already covered 19,000 ha. What’s striking is most areas brought under oil palms are community forests on which Mizo tribes have practised jhum, a slash-and-burn shifting cultivation. These tribes own and manage at least one-third of the 1.9 million ha of forests in the state. The Sixth Schedule of the Constitution that governs tribal areas in the Northeast is meant to protect their traditional practices. But the state holds jhum responsible for deforestation and land degradation and has been trying to end it since 1980s. With PODP in hand, it has meticulously drafted a policy that will not only help curb jhum but promote oil palm. On the face of it, the New Land Use Policy (NLUP), 2011 aims to provide “sustainable income to farming families...by weaning them away from the destructive and unprofitable shifting cultivation practice.” Under the Centre-funded policy, farmers receive Rs 100,000 as one-time support for giving up jhum and opting for plantations such as cashew, banana and oil palm. High subsidies to oil palm under PODP make it lucrative than the other crops. By pushing oil palm plantations, Mizoram seems to be effectively abolishing the traditional community forestry management systems, which has been on the wane. Under the systems, the traditional village assembly identifies forest land around the village for jhum and allots it to families for a year. Size of the land depends on the need of the family and its capacity to cultivate. This system ensures that no tribal remains landless. Under NLUP, the government undermines this traditional right of the village assembly and allots patta (land title) to individuals who take up permanent cultivation on jhum land. “In many cases, contractors or businessmen from distant towns bag the land titles,” says an Aizawl-based journalist. "The jhum cycle has reduced from 10-15 years earlier to 2-3 years. If we don't curb the practice now, the forests will be destroyed in 20 years"
At the same time, the government is creating conducive business environment for palm oil companies. Between 2005 and 2006, it signed memoranda of understanding with Godrej Agrovet Ltd, Ruchi Soya Industries Ltd and Food, Fats & Fertilizers (3F) Ltd for palm oil production. It gave these companies exclusive rights over seven of its eight districts for procuring oil palm from farmers at a fixed price and offered each of them Rs 2.5 crore for setting up oil mills. “Under this arrangement, even though a tribal farmer grows oil palm on his land, in practice it becomes captive plantation of the company. The arrangement undermines the farmers’ rights to sell the produce in open market,” says T R Shankar Raman of Nature Conservation Foundation, Mysore. Studies show expansion of oil palm has resulted in social and economic changes in tropical countries, says Umesh Srinivasan of the National Centre for Biological Sciences, Bengaluru. Following an oil palm boom in Ghana in 1970, many non-native farmers leased or purchased community lands by bribing customary chieftains. Community-owned lands in Papua New Guinea are also being sold to people who have no customary birthrights in the region, says Srinivasan. In Indonesia, he adds, conflicts emerged between communities and oil palm companies over unequal benefit sharing and uncertain land tenure. Monoculture plantations like oil palm can destroy the biodiversity of a region, says Raman, who has studied jhum in Mizoram for a decade. Jhum, though causes temporary deforestation, does not affect the biodiversity as much. “Today major criticism against jhum is that its cycle has reduced from 10-15 years to two to three years, which affects regeneration of forests. 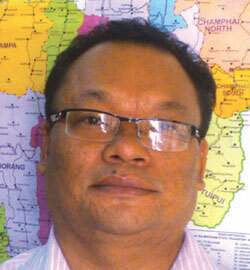 Plantations have decreased land availability for jhum, reducing its cycle,” Raman says. Oil palm may be economically rewarding but nobody takes into account ancillary services of jhum. Farmers not only grow rice, maize, vegetables and fruits on jhum farms, they harvest bamboo, bamboo shoots and firewood from the patch during fallow period, Raman informs. In Manipur, 70 per cent of the forests are traditionally owned and managed by tribal communities. But these community forests are categorised as Unclassified State Forests (USFs) in government records. The government has proposed the New Land Use Policy, 2014, which aims to bring the entire recorded forest area in the state under “undisturbed” forest cover and joint forest management (JFM) without considering the traditional use of the forest land. Under JFM, the forest department ropes in communities for forest management but retains it control over forest. "Monoculture plantations like oil palm can destroy the biodiversity of a region and permanently alter its ecosystem"
Taking a step ahead, Arunachal Pradesh is drafting a law that empowers the forest department to bring almost any kind of land, including traditional community forests, under its control. Traditional community forests account for 60 per cent of the 5.1 million ha of forests in the state. But just like Manipur, Arunachal Pradesh has categorised these forests as USFs and put them in the list of government-controlled forests. To make matters worse, the government is now hammering out the draft Arunachal Pradesh Forest Act, 2014, which will allow any land on which “no person has acquired either permanent heritable and transferable right of use or occupancy under any law for the time being in force” to be converted into “reserved forests”. Since there is no record of customary rights of communities over their forest land, community forests can be considered as “government property” and converted into reserved forests, says tribal rights activist Madhu Sarin. This will restrict activities of communities in their homeland. The proposed law has also provisions for acquiring private land and “waste land” and notifying them as reserved and protected forests. It seems the government intends to bring every category of land under its control, says Sarin. The proposed law bars people from collecting forest produce from USFs. Since, most customary lands have been recorded as USFs, this will imply a major infringement of customary rights, she adds. 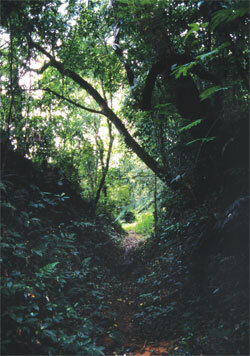 The Centre’s Forest Rights Act, 2006, recognises traditional rights of forest communities. But the state has been dragging its feet over implementing the Act. Last year, it informed the Union tribal affairs ministry that FRA does not have much relevance in the state because most of the forests belong to communities whose territories are identified by natural boundaries. Such clarity is missing from the proposed forest law. Following objections by community leaders and academicians, the forest department has constituted two committees to carry out a “wider consultation” on the draft law. 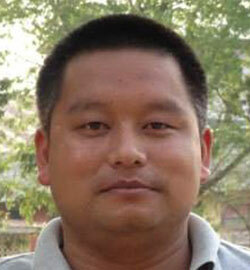 "No authority exercised control over Nagas' land ownership rights. Land deeds or land tax is unknown in Nagaland"
The Centre, states and communities in the Northeast are fighting for a slice of the natural resources pie. The region has landed in this peculiar situation because of a complex history of imposition of modern laws over the customary ones. Communities have traditionally owned and controlled vast tracts of land in the region. Although each community has its own agricultural and land-use system, they have one thing in common, and that is ownership of land and its resources is vested in the community structures, says Jeuti Barooah, who has documented customary laws of 47 major tribes in the Northeast as director of Legal Research Institute of the Gauhati High Court between 2004 and 2007. Since the British times, governments have respected the autonomy of the communities. After India became independent, the Centre decided to protect their autonomy by introducing several provisions in the Constitution which led to the creation of autonomous local governance bodies. The hilly areas of Assam, Meghalaya, Tripura and Mizoram were brought under the Sixth Schedule of the Constitution, which required autonomous district councils (ADCs) and regional councils to be elected by communities to govern areas under their jurisdiction. These councils were authorised to make local laws, including the ones on land use. “But the Sixth Schedule does not formally recognise or codify customary structures of communities, nor does it define their relation with ADCs,” says C R Bijoy, an environment lawyer with Campaign for Survival and Dignity, a forum of non-profits working on forest rights. 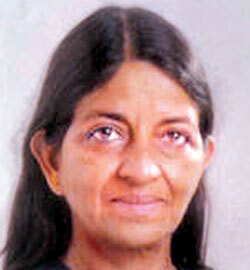 "Central laws do not recognise customary laws of tribals. Autonomous district councils set up under the Sixth Schedule recognise only a few"
Special provisions were also made for Nagaland, Manipur, Mizoram and Arunachal Pradesh under various Articles of the Constitution to protect their autonomy. But none of the provisions explicitly mentions that communities own natural resources. Only Article 371-A is interpreted to be recognising Naga community's right over natural resources "in spirit" because it prohibits implementation of national laws relating to "land and its resources" in Nagaland without the state Assembly's will. As a result, a chaotic system of governance came to prevail in the Northeast. While communities continue to follow their customary laws, the local laws prepared by autonomous councils recognise only some of them. Even the laws recognised and made by autonomous councils often clash with state laws. The national regime remains silent over the matter, says environment lawyer Sanjay Upadhyay, one of the first law scholars to have studied the legal complexities affecting community forestry in the Northeast. As per modern laws, oil and coal are “nationalised” mineral resources, meaning these resources are under the Centre’s control irrespective of the ownership of the mineral-bearing land. Under the Indian Forest Act, 1927, the state forest department is the sole forest authority. These laws hardly reflect the customary laws and practices of more than 200 tribes living in the Northeast. For instance, United Khasi Jaintia Hills Autonomous District Act, 1956, recognises nine kinds of forest by taking local practices into account. But Meghalaya follows the national forest law and recognises only three categories of forests administered by the forest department. "Most forests in the Northeast are under community control. 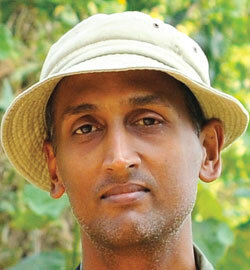 Still they are not well maintained"
Verghese says at times outsiders marry a local person or have a local frontman to take control of forest land and that a lot of community forests are being privatised by the elites of the community. However, one cannot generalise the trend. The Apatanis community in Ziro valley in Arunchal Pradesh and most communities in Nagaland have been managing forests very well, he says. "Once the communities have titles to their customary rights over forest and its resources, they can contest modern laws"
The conflicts and confusion could have been avoided had the governments and civil society worked towards empowerment of communities, according to a development professional from Tripura who works with an international aid agency. “The Sixth Schedule gives autonomy to communities to govern the resources in traditional ways and leaves it there. As the social and economic dynamics changed, instead of empowering them in natural resource management, the state and the Centre started contesting with them,” he says. Government’s inaction is visible in the cases of oil and coal where neither the Nagaland government nor the autonomous district councils used their powers under the Constitutional provisions to put in place an effective benefit-sharing mechanism. Nagaland: Hammering out a policy to "restructure" landholding systems in oil-rich foothill areas. This will pave way for possession of land by non-native investors. Arunachal Pradesh: Discussing a law that gives state the power to take over any kind of forest, including those owned by communities. It intends to curb jhum and restrict people's access to forest produce. Mizoram: Introduced New Land Use Policy, 2011, which allows the government to allot pattas over community forest land to those who quit jhum and grow permanent plantations like oil palm. Community institutions have little say. Manipur: Ignoring the ownership of forests, the proposed New Land Use Policy (NLUP), 2014, aims to bring 78 per cent of the area of the state under "undisturbed" forest cover and Joint Forest Management. It allows Village Development Councils (state-controlled elected village bodies) to make changes in the land tenure system in consonance with NLUP. 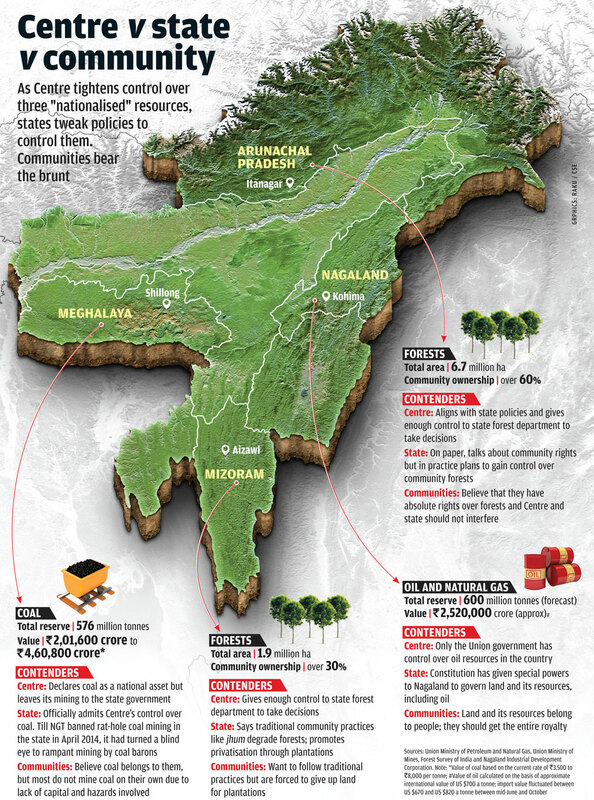 Meghalaya: Its Industrial and Investment Policy, 2012, promotes leasing of tribal land to industries or investors. The Meghalaya Transfer of Land (Regulation) Act, 1971, that prohibited transfer of tribal land to non-natives, was relaxed in 2001 to enable French company Lafarge to acquire land for limestone mining. Tribal rights activist Madhu Sarin, who has been instrumental in the enactment of FRA, says the Act has provisions to record all the existing rights on forests. “Once the communities have titles to their rights they can contest modern laws that are contradictory to customary laws,” she says. However, communities fear that FRA will limit individual landholding to 4 ha. Sarin thinks the fear is unwarranted because FRA recognises all the existing rights. “Communities in the Northeast are generally apprehensive of Central laws as it means accepting the authority of the Centre over their territories. However, states can convince communities and take the initiative for survey and demarcation of community territories under FRA,” says Bijoy. This is what former prime minister Jawaharlal Nehru had envisioned. “We should not over-administer these areas... we should rather walk through, and not in rivalry to, their own social and cultural institutions,” he said in his “Panchsheel for tribal development”. The Meghalaya Transfer of Land (Regulation) Act, 1971, that prohibited transfer of tribal land to non-natives, was in fact tampered by some in Governance and cheated the Indigenous people of the State of Meghalaya. They have inserted amendments which were never amended and all under the nose of Advocate generals and Additional Advocates General of the State in the past 10-15 years. Excellent Story: Informative, Educative, Investigative, Eye-opener, Human, Perfect case of Action.